From September 2019 to August 2020. 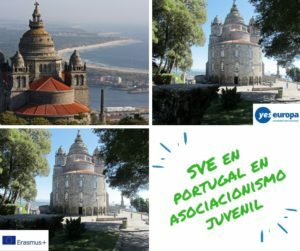 This project is a unique occasion for volunteers who want to participate in the field of youth information, EU project management and communication. 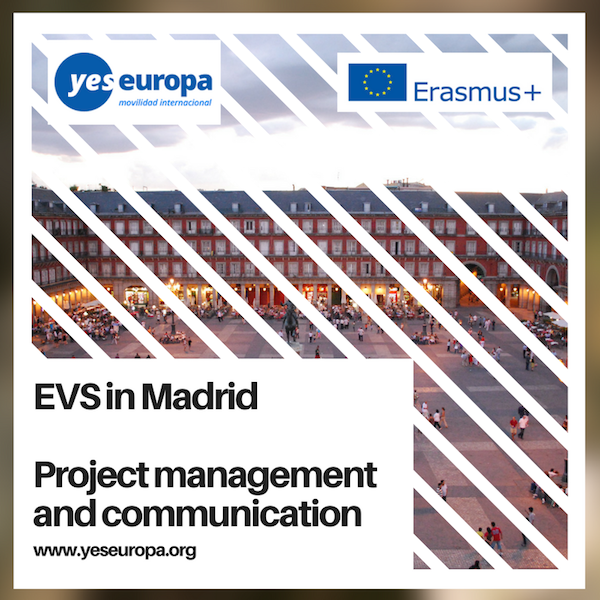 The EVS will include many of our field areas: cultural/educational/social events, management information about cultural opportunities, database and mapping of projects in Spain and Europe, social networks, SEO, web tools 2.0 for project management and education, provide informative sessions, support the EU Programmes Department, cultural documentation and research, etc. Most of our activities are done through the Internet. No previous knowledge is needed, however relevant experience and studies related will be taken into consideration. 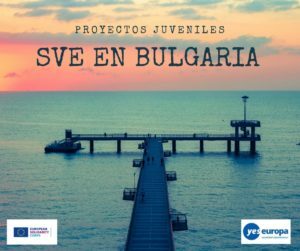 Our projects will allow volunteers to learn Spanish, carry out EU projects, live in a new country, increase professional chances in the field of education, youth work and youth information. The project will take place in the city of Madrid, in the areas of Fuencarral and Centro (“city Centre”) districts of Madrid. Madrid is the capital of Spain, it has almost 5,000,000 inhabitants. It is the communication’s centre of Spain, with the largest airport in Spain. It is a very attractive city, from many points of view: cultural (museums, theatres, cinemas), economic (dynamic structure), tourism (restaurants, attractions, social premises),… There are many towns around Madrid which complement this offer (Ávila, El Escorial, Toledo, Alcalá de Henares, Aranjuez, Segovia, etc…). 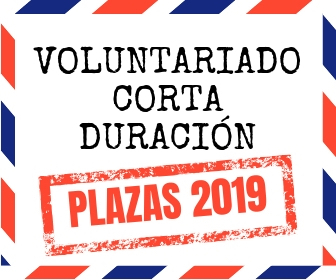 Volunteers will receive complete information about Madrid. 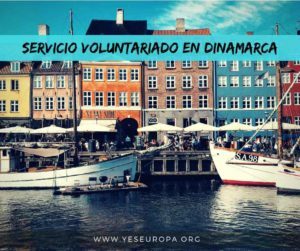 For Asociación Building Bridges there is a very important concept we like to agree on with the volunteer: we like to host him/her in the organisation considered as a whole entity, this means we expect also the volunteer being flexible if requested in more than one service or activity. He/she will mainly work on a specific area and service he/she expressed preference for but, at the same time if needed, for example during summer time or for specific events, situations or needs, we would like to count on the volunteer support also in other kind of services, of course, after having explained and agreed on with the volunteer on our request to try to find a good compromise. In this way we think we can offer also a more complete experience to the volunteer. 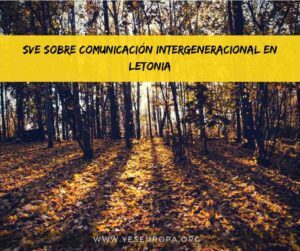 Create social, cultural, sports and community activities communication posts in our webpages to local groups, living in Madrid and as well in the surrounding municipalities, and to Asociación Building Bridges’s centers for adult, young people and children. We actively collaborate with institutions and NGOs and we also participate in education, cultural and sport activities, promoting reading and youth activities in Madrid. Daily online services for young people in youth information, councelling, guidance and opportunities in Spain and abroad. In occasion of selections we had first impressions, opinions and proposals on each candidate but final decisions on the services that will host you will be taken together with you and our tutors the services (one or more volunteers in one or more service contemporary or not) after your arrival during the first weeks of the welcoming period we organise during which you will visit and start living some experiences with the services and will participate to group activities to let you and us know better each other (knowledge, expectations, fears, volunteer profile definition, etc.). There will be no job substitution. All members are volunteers. They will be asked to be responsible as collaborators of the organisation. They will also participate preparing projects and collaborating with other entities so they can give a new point of view and develop new EVS experiences. Volunteers are free to suggest activities, actions they consider interesting for the organization. We will promote creativity of volunteers. The specific working plan will be established when the projects are approved. Training course: 1 or 2 months (depending on the length of the project). Spanish language course: delivered the first month of EVS through the OLS online platform. Project: final report and end of the EVS: 3 weeks before finishing the project. Maximum: 35 h/week. Full-time, from Monday to Friday. Exceptionally, activities will take place on weekends, though volunteers will be told in advance and they will get a free day the week after. In a flat shared with young people to support their integration in the city. Well communicated area. Accommodation will be based in double shared rooms, if possible we will provide single rooms when available. We will provide a monthly pass for subway, city train and bus (zone A Madrid city centre) if needed. 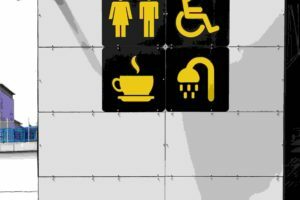 This transport pass will be provided when the working centre and the apartment is more than 20 minutes walking distance. We can provide first hand information and our experience around the world. Our team is multidisciplinary, so volunteers have access to many services. We count on work counsellors, intermediation experts, educators, trainers, technicians of European projects, translators, technicians in risks at work. We also offer individual counselling if needed (e-mail, phone, presential). We already carry this out, as many people want to live abroad. – EVS volunteers develop language, social, technical, artistic,… skills and learn about themselves and their expectations in life. – It is very useful for our organization when supporting employment in the cultural field. – We can support volunteers when looking for a job, in or outside Spain, due to the amount of information we have. Apart from what we have mentioned in other sections, we will give priority to young people who have had no other international mobility opportunities, especially those with fewer opportunities. We will try to balance nationalities, so cultures are mixed. We will prioritize candidates with studies on Marketing, EU Project Management and/or Communication. -Concerned about EU project management, communication and social media strategy. -Aware about their responsibilities and involvement as EVS volunteers. -Capacity to contribute positively to the EVS project. -Open to the new way of life. -Independent, flexible and with team working skills. -With initiative to carry out a personal project. -With social and organisational skills, able to work with other young people and organisations. – Interest in social media, marketing, internet and techonology. – Interest in EU project development. The recruitment will be done taking those characteristics into account by, at least, 2 people of the organisation. The opinion of the EVS volunteers in the project at the moment will also be taken into account. We will adapt to the needs, motivation and concerns of the volunteers showing interest to carry out their EVS project with us. -People interested in education, cultures, art and European topics. There is a lack of information for people interested in these topics in Europe. We’ve seen this in our talks about European chances. Many of them are interested in the EVS. 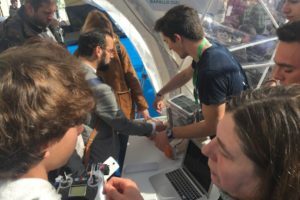 The process will be open, participative and transparent: volunteers will define their project (we will not define a project to which volunteers have to adapt). Thus, volunteers need to be active and express their concerns, motivations and preferences, shall actively participate creating the project and looking for an organisation and destination of their interest. Volunteers will be covered with the same measures as all the other collaborators of the organisation. Volunteers will receive specific training, information and rules about health and welfare, as well as emergency phone numbers. Rules and responsibilities will be set from the beginning. Thus, continuous communication between mentor and volunteers is essential. The mentor will support them and guide them continuously. They will be covered with the EVS insurance. The mentor participates in the attention, monitoring, mentorship, training and planning of activities of volunteers. They will also write a monthly report with evaluation about the activities carried out, expressing their opinion about them. BB was founded in 2008 to favor the feeling of belonging to Madrid of its citizens and to make Europe accessible to them. Thus, we provide information about European opportunities for young people. Many people ask us about mobility possibilities in Europe. Many of them deal with volunteering, not only in Europe, but also in developing countries. There are many opportunities to travel abroad, but there is not enough information. Most of our members (from the city area of Fuencarral) don’t know about those opportunities. One of our members was one of the first EVS mentors in Spain participating in an online EVS course for mentors. (number of hours of the course 40; dates: from 1.12.2008 to 28.2.2009). He wants to apply what he has learnt and become a mentor. -We want to encourage an alternative to an employment or to studies which offers better chances after the EVS is finished. We want to promote the active participation of unemployed youth. -In Madrid there are only 2 organisations dedicated to “Art and Culture” and no one dedicated to “Protection of the Heritage”, our themes for the project. -We want to contribute to the EU’s political strategy “Youth: investing and empowering”. We share its aims to provide more education and employment opportunities and promote participation and solidarity.Experience with European projects and programmes. We are quiet experienced in the EVS and we know how to apply for it and manage it. We have ample experience providing youth information, especially with European programmes and initiatives. We also collaborate with a free site of cultural information (internshipsinmadrid.com). In it we promote youth mobility through grants, support, employment, contests, news, documents,…We collaborate with communication entities such as YouTube, Flickr, Google Plus, Facebook,… We are in direct contact with young people to let them know about all possible mobility chances. -To build bridges and promote intercultural dialogue and favour understanding of foreign cultures. -Plan bridges using European projects to promote participation. -Step on bridges to support any cultural, educative and/or artistic expression based on the previous values. Our organisation is formed by people with different backgrounds. Our members have lived different experiences. Some of them live in other cities and countries. A managing team is in charge of the management, monitoring and implementation of the EVS projects, as well as of mentorship. We will also receive support from private entities we work with, counting with their experience, resources and commitment. We work with organisations in the fields of culture, education and youth, so we have an ample target group. In general: anyone interested in art, culture, heritage, Europe,… This group involves people of all ages and backgrounds. Our members include people who have participated in different programmes: EVS, Leonardo, Erasmus and we want to offer other young people such chances. We have recently created communication channels (Twitter, Facebook, YouTube, Flickr, Issuu y Bookcrossing) including information about grants, support, festivals,… related to culture and arts. Although there is a lot of information, people not always find what they are looking for. We actively collaborate with Bookcrossing. 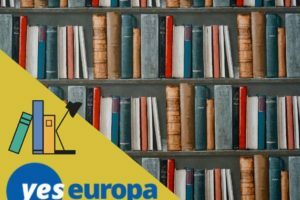 This is a free exchange of books world-wide, with over 34,000 members in Spain. We have released over 500 books for it all over Spain. We also organise other cultural events and activities in Madrid. You need to provide details on your sending organisations, please choose one!.